One by one, the Manhattan College students approached the reception table in Smith Auditorium to receive their seating assignments. Half were directed to the middle of the floor, where a meager tray of rice and beans awaited them. A second group, significantly smaller, was sent to a cluster of chairs next to a serving station with rice, vegetables and water. A third group of just nine students took seats around an elegantly set table with white linens and flowers, where steak, cider and cake were being served. Billed as the Manhattan College Hunger Banquet, the gathering was staged this spring as a metaphorical reminder of the disproportional gaps between social classes, particularly when it comes to food. The event was sponsored by the College’s Catholic Relief Services (CRS) Ambassadors, a newly formed undergraduate group a dozen members strong, tasked with spreading social justice awareness across campus. The ambassadors are achieving that through events-sponsorship, petitions and educational campaigns. During the Hunger Banquet, the students seated at the linen-draped table represented the upper-class members of global society — about 15 percent. 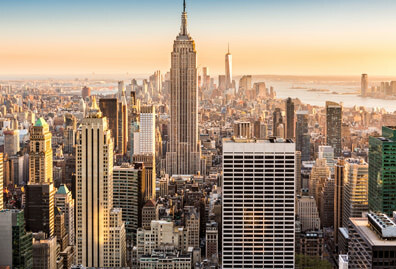 The middle-class group totaled 35 percent, while the lower-class group seated on the floor — representing the world’s citizens living on less than $985 a year — comprised 50 percent. At the end of the evening, after the food was consumed, ambassador Kathleen White ’14 offered a final message. Catholic Relief Services is the official international humanitarian agency of the U.S. Catholic community. It serves more than 100 countries, working with local parishes to help the poor and provide relief (some of it lifesaving) in the wake of disasters. Rather than simply throwing aid money at problems, the organization seeks to address the roots of global inequality. 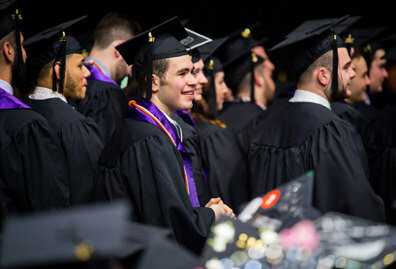 “Their big quote is that if you give a man a fish, he’ll eat for a day, but if you teach a man to fish, he’ll eat for a lifetime,” says Douglas, who is from West Islip, N.Y., and majoring in business management. 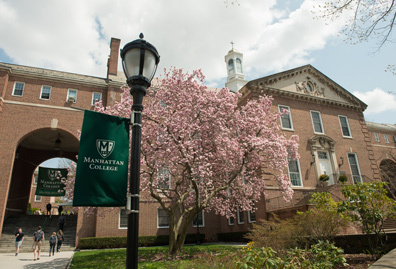 For years, Manhattan College had promoted CRS by co-sponsoring guest lecturers referred by the organization’s regional manager. 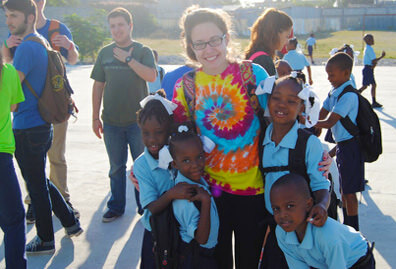 But things didn’t fully come together until January 2012, when a Lasallian Outreach Volunteer Experience (L.O.V.E.) trip to Rwanda overlapped, by sheer coincidence, with a gathering of college and university presidents who’d been invited to Rwanda by CRS. The initiative was intended to encourage deeper collaboration between CRS and the academic community, and Brennan O’Donnell, Ph.D., the College’s president, was part of the delegation. O’Donnell took the L.O.V.E. students out to dinner, and the group discussed the ambassador idea. This past fall, Harr and Douglas, a Campus Ministry and Social Action work-study student, reached out to several undergraduates they knew might be interested. 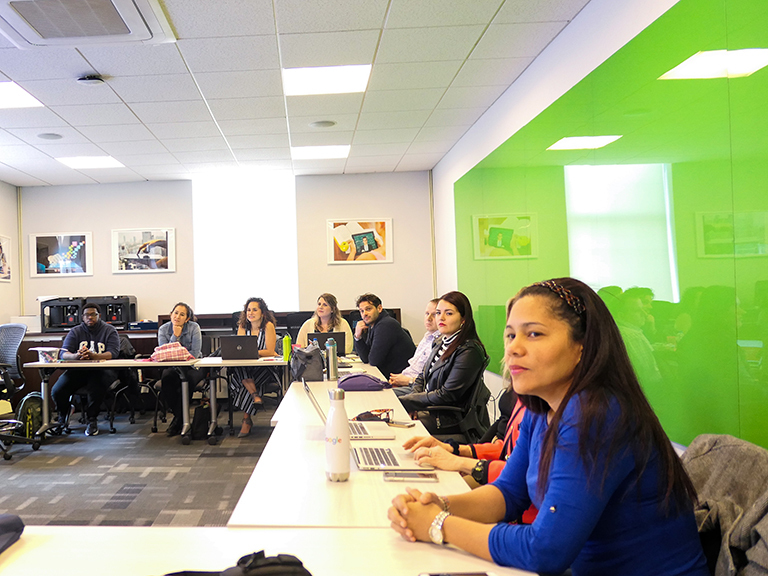 CRS sent a representative to campus to hold a training session, and the ambassadors were born. 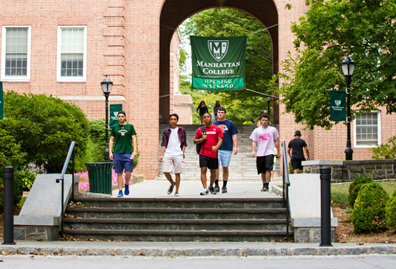 The 12 Manhattan College students are now part of 202 CRS ambassadors representing 42 colleges and universities across the country. This first-year ambassador class is focused on two issues: food security and human trafficking and migration. During the spring semester, they’ve staged several events, each paired with a petition promoting a unique cause. At the sign-in table for the Hunger Banquet, for example, students were encouraged to sign a letter urging the federal government not to cut international aid. Other ambassador-sponsored events this year have included a lecture by a survivor of drought-plagued rural Africa, and a coffee hour in which Spanish-speaking students were invited to sip java with a fair trade coffee farmer from Guatemala. Sometimes the ambassadors will show up to non-CRS campus events armed with petition clipboards and fact sheets; petitions have included advocating for liberty in North Korean and encouraging U.S. hotels to train their employees on how to spot human-trafficking victims. 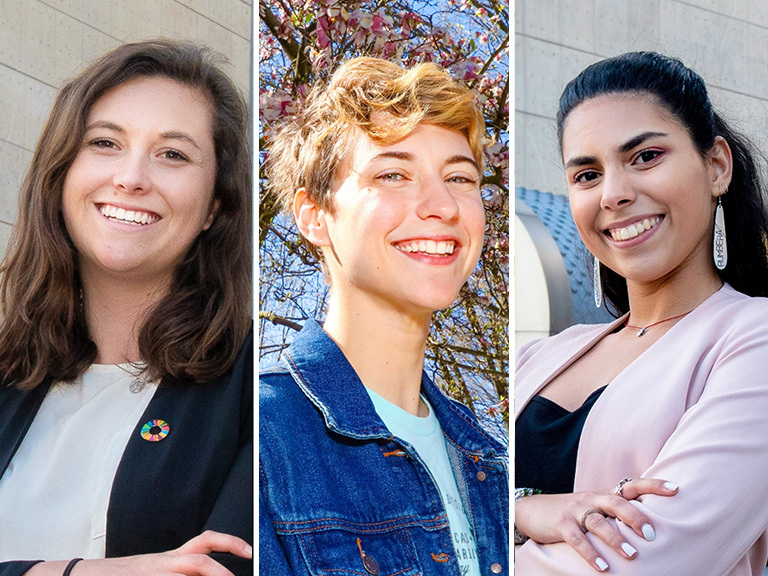 The ambassadors meet once a week, prepping for events and planning things such as social media campaigns and recruitment drives. Once a month, they share a dinner together. Next year, the group wants to stage a greater number of events and add a third focus: clean-water consumption.